This product is highly absorbent and one of its side is water tight and the other is permeable to water. They come in different 7 different colors and they are soft. Bib holders are made of silicone and they have a mix of color that they fit perfectly on the patient’s neck. 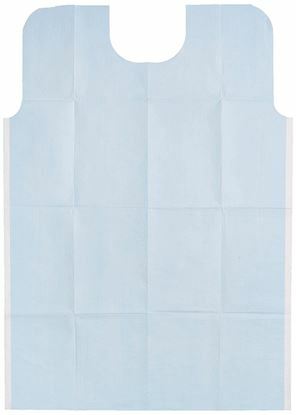 29" x 42" - Waffle Embossed - 2-Ply Tissue Extra Large Oral Surgery Bib. Knee length with contour neck to provide increased coverage. 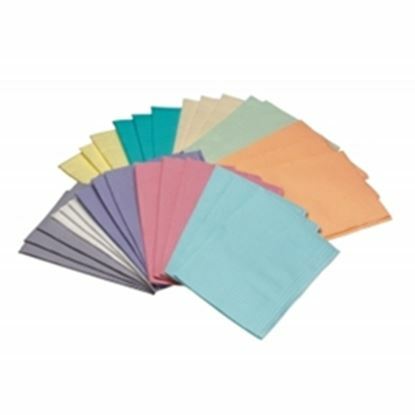 Tissue/Poly construction protect patients from fluids and bleach during procedures.